Your Christmas will be as bright as a diamond when you hang this Embroidered Gold Sequined Diamond Stocking in your home. 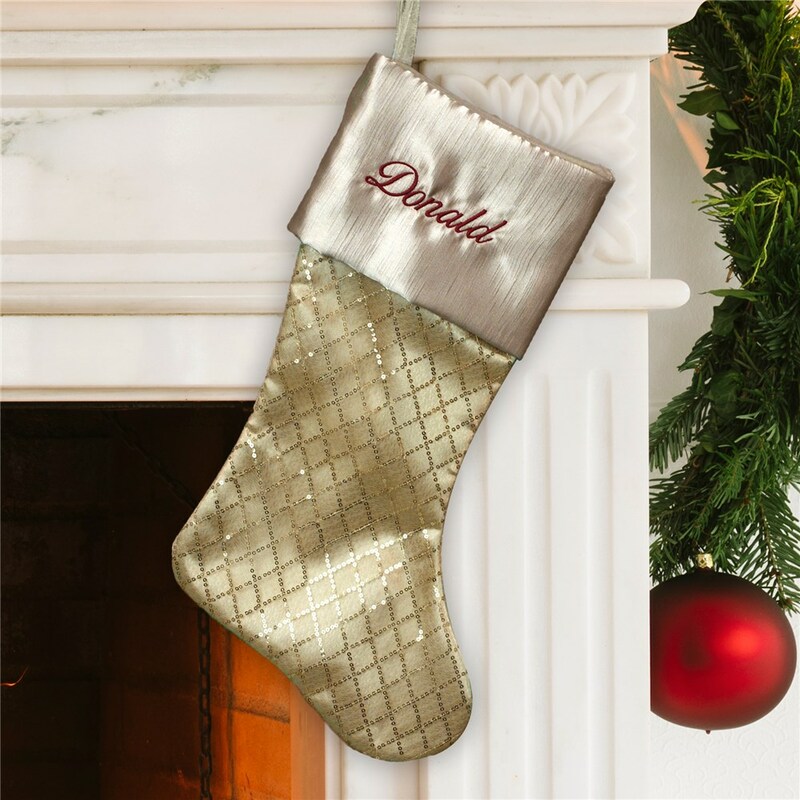 We'll skillfully embroider these Personalized Christmas Stockings with any name in burgundy thread for a unique Christmas Stocking you can call your own. This Christmas Stocking is a wonderful addition to the holiday.